Simply pour regular double cream into the jar along with a spoonful of sugar, pop in the 3 CREAZY balls, shake for 30 seconds, then open and enjoy. The CREAZY makes perfectly whipped cream in under 1 minute. 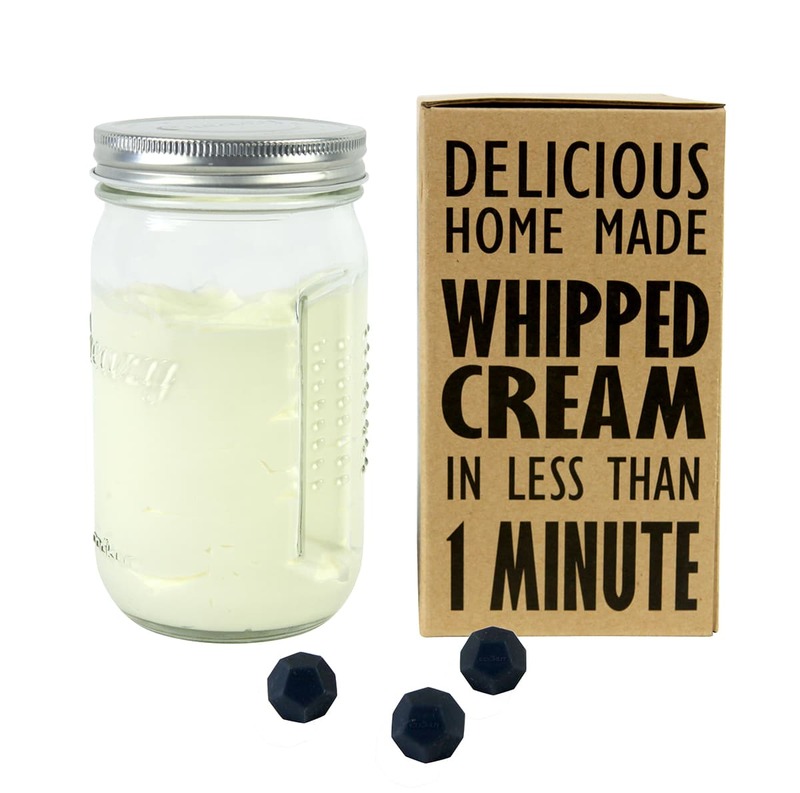 Makes 700ml of whipped cream in one go, which can then be kept refrigerated in the jar. Size: Dia: 8cm, H: 16cm. Makes 700ml of whipped cream. Materials: Glass jar with steel lid & 3 silicone Creazy balls.